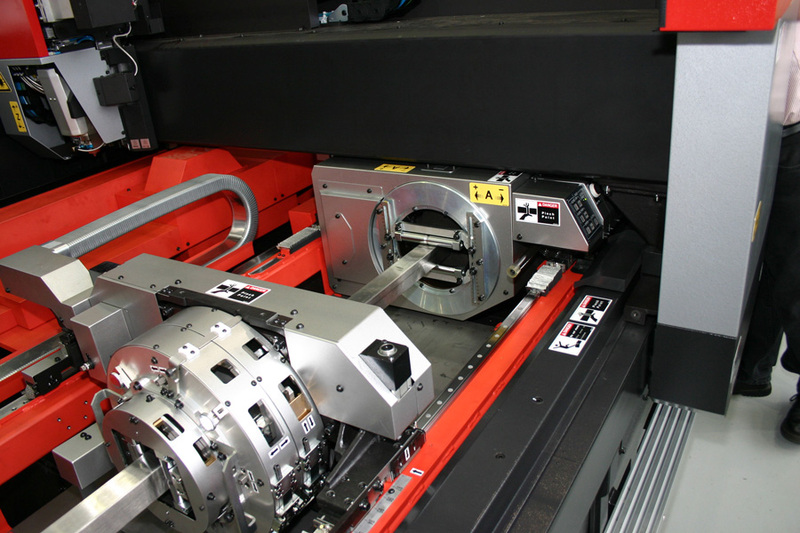 Here are two approaches to laser-cutting tubes – as a secondary operation on machines that are built to do something else Amada’s workhorse CO2 laser makes a fine tube- and structural-shape cutter, with the addition of a tube-handling unit. The versatility of lasers is something that machine builders are taking advantage of in several ways, often to combine operations on a single machine. We’ve seen laser cutters that will weld and laser welders that will sinter and coat. Now we have two different angles on cutting tubes, based on entirely different machines: A sheet and plate cutter with a tube-cutting accessory from Amada America, and a screw machine with a laser attachment from Marubeni Citizen-Cimcom. Amada’s approach is that we have the laser; let’s turn and cut tubes. 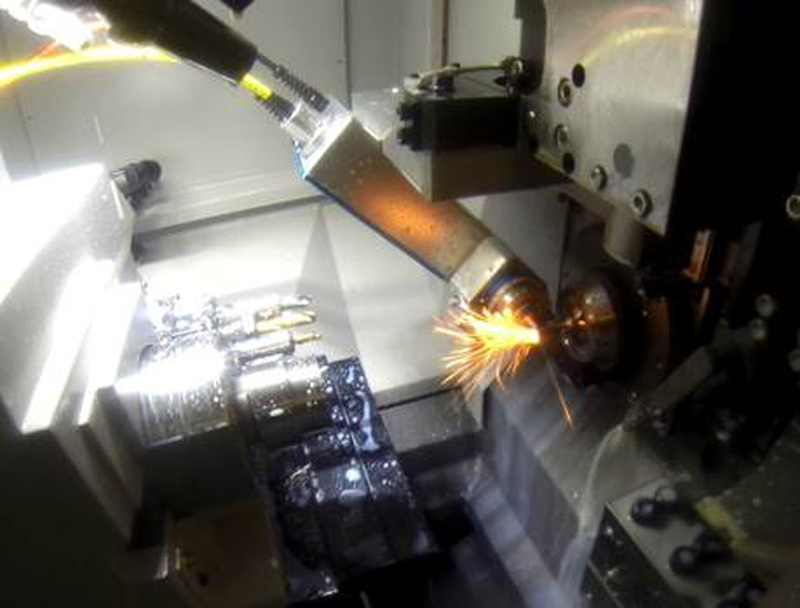 Marubeni’s is that we can turn and cut tubes; let’s add a laser. One good thing about both approaches is that they aren’t compromises. They both do a perfectly fine job of laser-cutting tubes, although in different size ranges and configurations. The Amada machine is predicated on the idea that a shop called upon to cut sheets and plates will have some call to cut tubes and structural sections. The Marubeni machine is aimed primarily at medical tube cutting, although the larger version of it will cut tubes up to 1.5 in. diameter. Bone cutters, coronary stents, and other medical applications are some representative jobs. “It’s a CO2 laser. There are a couple of reasons for it. First of all, when we came out with this machine, fiber really hadn’t gotten to where it is now. Fiber really has seen a big uptake here in the last few years and it’s more for high-speed cutting of thinner materials. There are fiber-laser tube cutters, dedicated ones that are very application specific. They’re cutting thin stainless steel tube or thin copper tube, or similar materials, and they take advantage of what a fiber has to offer. In our application, our machine is designed to cut square tubes, 1/4 in. wall thickness; mostly hot-rolled steel. It’s not an application where fiber shines. The laser is more or less just another tool on the screw machine, with similar geometry. The machine is designed to cut flat sheets of various thicknesses and types of material and then, as Hillenbrand puts it, “if they get a handful of tubing and they don’t want to have to farm it out, they can quickly go from flat sheet over to the structural or to tubing and cut a small batch, and then very quickly go right back to the flat sheet cutting.” It’s about versatility and quick changeover. 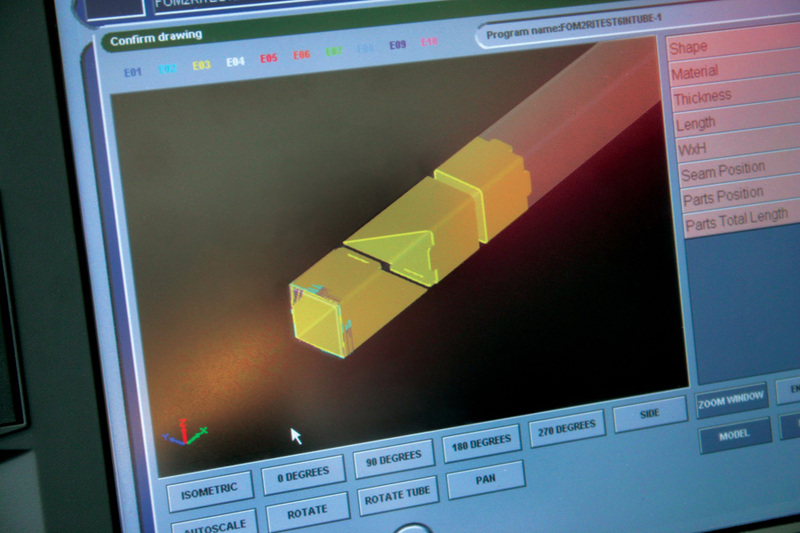 A screw-machine part with a difference: diamonds, stars, holes, and a bone-cutter end are cut with the fiber laser on Marubeni’s combination machine. Regarding the capacities, the largest round tube diameter is 8.66 in. Regarding setup times: early versions required about 1/2 hour to change from flat sheet to tube, and the same to convert back. Now, the changeover time is approximately 2 minutes. The system can best be described as semi-automatic. The manual part is just some minor setup details. Amada’s two-chuck mechanism indexes the work, and also pulls it tight to reduce bowing of thin tubes. Programming tube cuts on the Amada is handled by the same control and display as flat cutting. At the other end of the telescope is the Marubeni Citizen-Cincom L2000, built on the company’s CNC Swiss-style screw machine. This is a machine for small parts and it is fast. It will laser-cut 72 diamond-shaped holes in a coronary stent in 92 seconds, or cut the end teeth in a bone cutter in just over 6 seconds. The work handling is based on that of the screw machine, and the laser is a 400 W fiber laser. This is not a fabricating machine, but it gives laser’s geometric capabilities to a precision screw machine. Like the Amada plate-cutting machine, its basic job is something else but it gives first-class performance for the laser cutting. 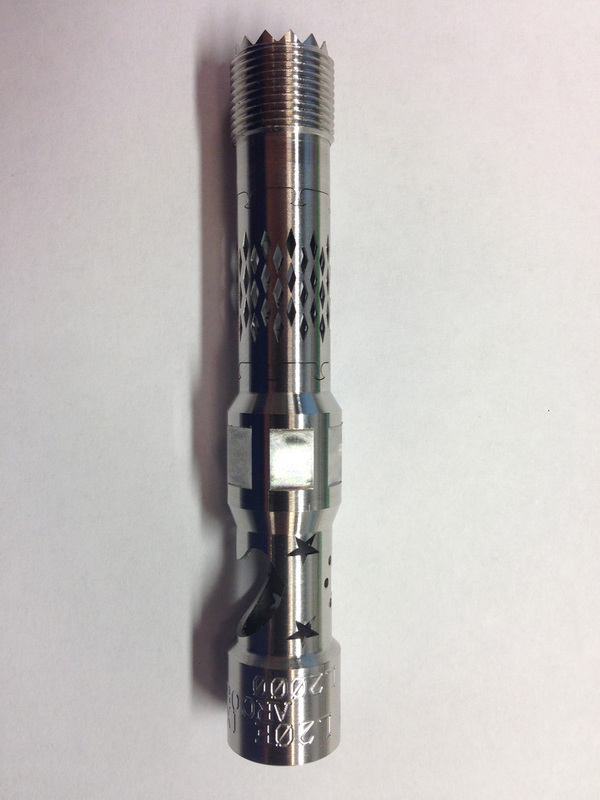 It has 1 micron (40 microinch) repeatability. It will cut through a 1/16 in. wall, in tubes up to 1.5 in. diameter. Cutting a stent, which is cut from a piece of thin wall tubing, the laser cuts the diamond shape patterns and the turning tools cut off the ends. The machine has a chuck on the tailstock end, and it can be equipped to mill parts on that end, with live tools. Taking advantage of the screw-machine configuration, it rotates from the collet end while feeding the work, allowing lengthwise cuts with the laser without moving the laser head. It’s very much a Swiss-style machine all the way, with a laser cutter. Our sister publication, Shop Floor Lasers, recently published a story on this machine, with a slightly different angle.